﻿ GBIC vs SFP vs SFP+ vs XFP, what is the difference? GBIC vs SFP vs SFP+ vs XFP, what is the difference? 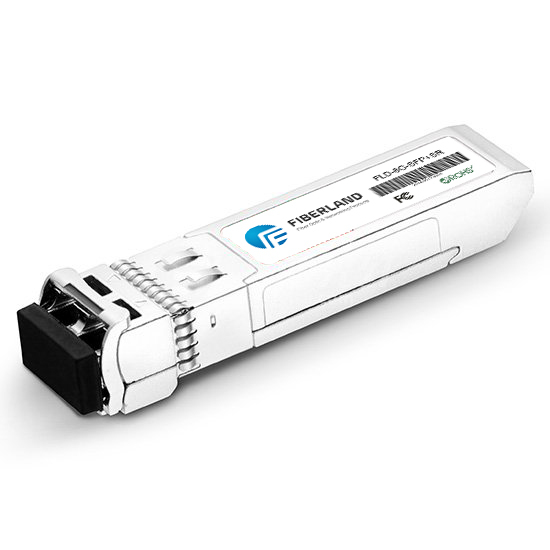 GBIC, SFP, SFP+ and XFP are all terms for a type of transceiver optics that plugs into a special port on a switch, router or other network device to convert the port to a copper or fiber interface. The commonly used SFP, SFP+ and XFP are all with LC connector. SFP and SFP+ with an identical pinout that is different with XFP optics. Both SFP+ and XFP with DDM function as default, whereas SFP partly support DDM function. XFP is a separate standard that also supports 10Gb/s speeds for applications of 10 Gigabit Ethernet, 10 Gbit /s Fibre Channel, Synchronous optical networking (SONET) at OC-192 rates, Synchronous optical networking STM-64, 10 Gbit /s Optical Transport Network (OTN) OTU-2, and parallel optics links.4. The primary difference between SFP+ and the slightly older XFP standard is that SFP+ without chip for clock and data recovery that makes an SFP+ smaller than an XFP, enabling greater port density. However, some SFP+ optics manufacturer like Fiberland have develop SFP+ with CDR that for special applications. XFP is defined by XFP Multi Source Agreement that is different with SFP+ MSA. Since SFP+ smaller dimension than XFP that provide a higher port density in switch and routers,nowadays it becomes more and more popular.